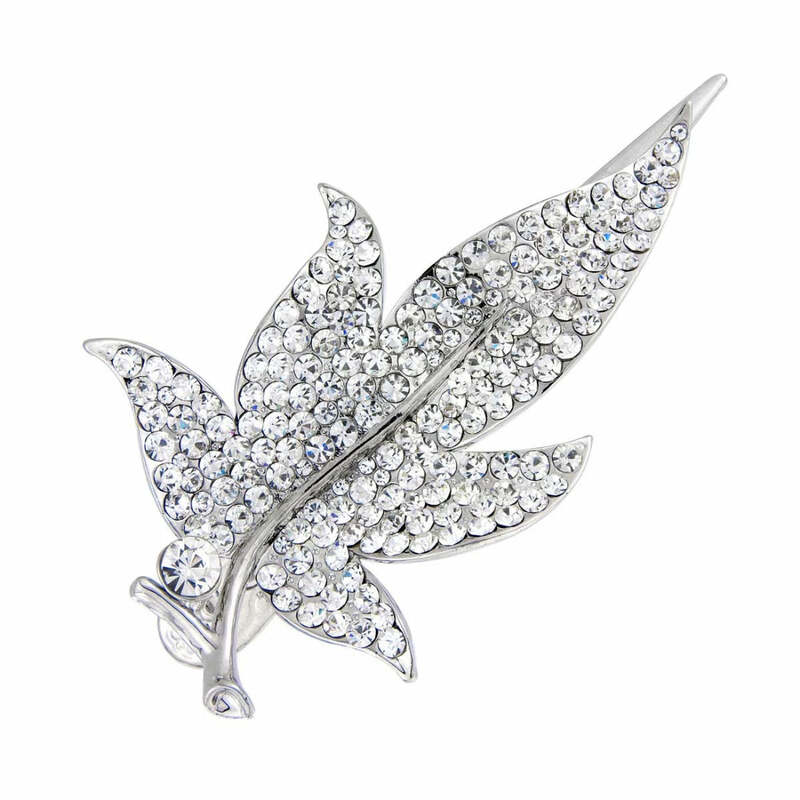 A dramatic, show stopping crystal leaf concord clip combining glamour from vintage eras. Dramatic and sensational, this statement silver tone concord clip beautifully combines influences from bold 1920s headpieces with a touch of classic 1940s glamour. Featuring a simply leaf design encrusted with sparkling Austrian crystals, this is a 'piece' for show stopping glamour. Go for drama and wear alongside an elegant French pleat or adorn a styled up-do with a touch of Fabulous Flapper meets Silver Screen Starlet style. A beautiful wedding hair accessory for brides who adore vintage concord clips, coordinate with a pair of sparkling crystals earrings and encrusted cuff bangle for pure movie star class. I am so happy with this hair clip! It looks even better than on the picture! Excellent quality and the crystals are very sparkly. I highly recommend buying hair jewellery from this site. Beautiful and excellent value for the price. Thank you!